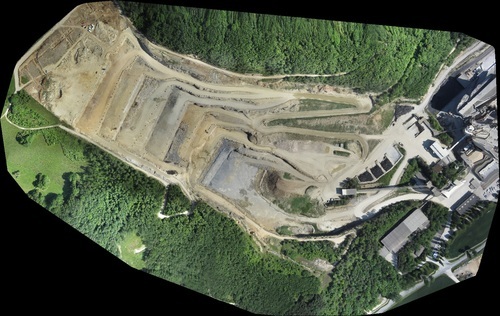 Just last month, leading UAV software developer Pix4D released the long-anticipated beta of Pix4Dmapper 2.0. With the release came an abundance of new, exciting features that build on the precise 2D/3D mapping and photogrammetry the company has already become renowned for. In terms of improvement, Pix4D has implemented smooth surface models and sharper building edges. The Mosaic Editor has also been rewritten from scratch and is subsequently much faster -- enabling users to visualize and tweak visual aspects of models in minutes. This is especially significant as even loading projects for modification was previously a burden, depending on file sizes. A revolutionary feature found in Version 2.0 is Orthoplane, which allows users to select an arbitrary plane in 3D space and generate the appropriate models. Given a building for example, users can isolate the façade wall into an orthomosaic. While 3D objects could be generated in previous iterations of Pix4Dmapper, there was never as much control or customizability. Tied with some of the abovementioned visual improvements, Orthoplane will prove invaluable in fields such as commercial construction and building inspection. Similarly, the newfound ability to create projects from video data is promising. While still images tend to work better due to higher resolution, Pix4Dmapper can now split video into frames for reconstruction. Particularly as camera manufacturers like GoPro and Canon develop higher frame rates, video import quality will only improve. Furthermore, index calculators for precision agriculture and coordinate systems have been extensively upgraded. Keypoint selection has also been fine-tuned, so that images are more successfully matched to other similar images. Finally, scale and orientation have become less reliant on geotags and ground control points -- providing more accurate measurements with much less hassle. As no support is currently offered for Pix4Dmapper 2.0, Pix4D does not recommend utilizing this version for production work. However, with the last four bug fix releases, Pix4D is certainly intent on bringing these latest features to users in the near future. Touting such an impressive toolkit, more and more UAV-operating businesses will no doubt continue to rely on or turn to Pix4D for processing needs.